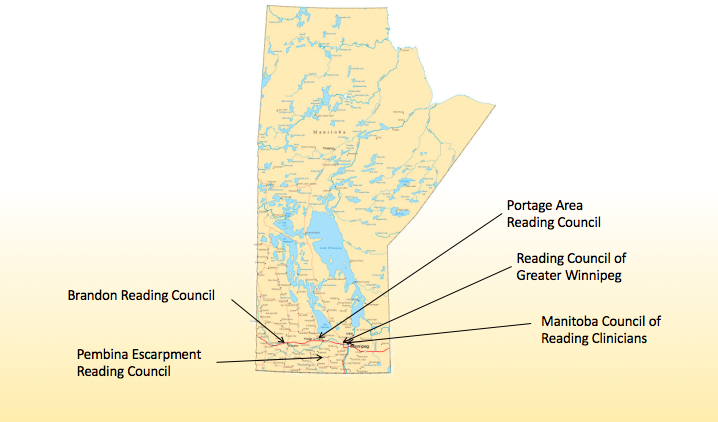 Manitobans are supported by local reading councils, distributed over various geographical regions. Membership in any local reading council also gives you membership in the Manitoba Reading Association. The Reading Council of Greater Winnipeg (RCGW) is committed to the promotion of literacy in the city of Winnipeg and surrounding area. We are a council of the International Literacy Association (ILA), a Special Area Group of Educators of the Manitoba Teachers’ Society (SAGE) and a council of the Manitoba Reading Association (MRA). Interested in joining our board? Contact us at rcgwinnipeg@gmail.com for more info. Visit the Reading Council of Greater Winnipeg's website. The mission of the Manitoba Council of Reading Clinicians (MCRC) is to facilitate literacy learning, diagnostic/specialized assessment and instruction through influence and upholding standards of practice, to support our members, parents and students, and to promote the work of Reading Clinicians among educational communities, related professional groups and the general public. Specialists in the areas of literacy and learning. We are certified as both teachers and Reading Clinicians by the Province of Manitoba. Certification requires a Masters Degree in Education and additional courses in clinical reading, literacy and learning. Visit the Manitoba Council of Reading Clinician's Website. To be a source of excellent professional development that matches research and practice in the area of literacy. Visit the Pembina Escarpment Reading Council's website.